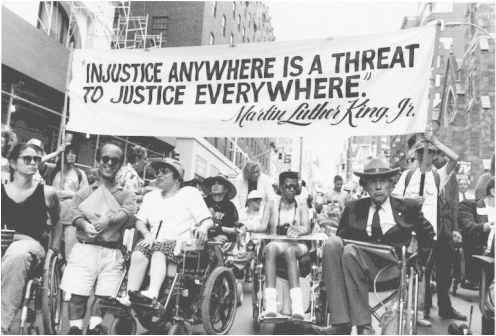 The signing of the Americans with Disabilities Act on July 26, 1990, marked the single greatest milestone in the civil rights movement for individuals with disabilities by granting people with disabilities equal access to opportunities offered all citizens. It’s about more than physical access, however. It signifies a sea change in attitudes toward people with disabilities. In a 1999 landmark lawsuit that tested the institutional bias of placing individuals with developmental disabilities into large congregate care facilities (Olmstead v L.C. ), the Supreme Court held that under the Americans with Disabilities Act, individuals with intellectual and developmental disabilities have the right to live in the community rather than in institutions. At the time, Washington State was on the verge of signing in support of the state of Georgia, against the plaintiffs, until disability advocates rose up to demand that our state change its position. It did. And the Supreme Court ruled in favor of the plaintiffs. Olmstead firmly established the ADA as the bedrock of disability rights throughout the country and here at home. inclusive education, free from restraints and seclusion. Each of these areas continues to see debate and resistance as advocates push for public policies that adhere to the ADA. So, while we celebrate the achievements of the ADA, there is more work to do to ensure that people with disabilities have access to the same opportunities all citizens. Washington advocates deliver a clear and powerful message about the ADA’s impact on their lives and our communities.